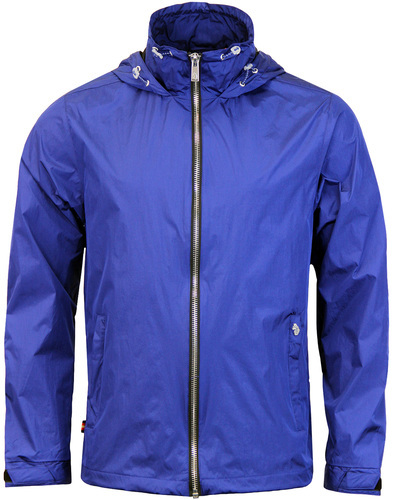 Pretty Green 'Kirby Dales' Retro Hooded jacket. 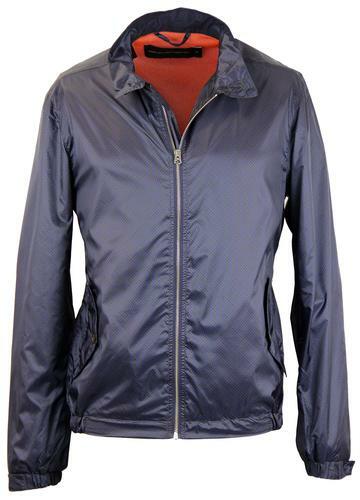 A Fab Six pocket parka style jacket with an eye catching Retro Design. 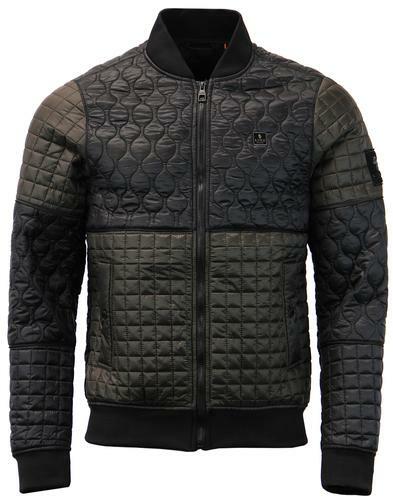 Rip-stop Cotton construction makes this jacket durable and strong. 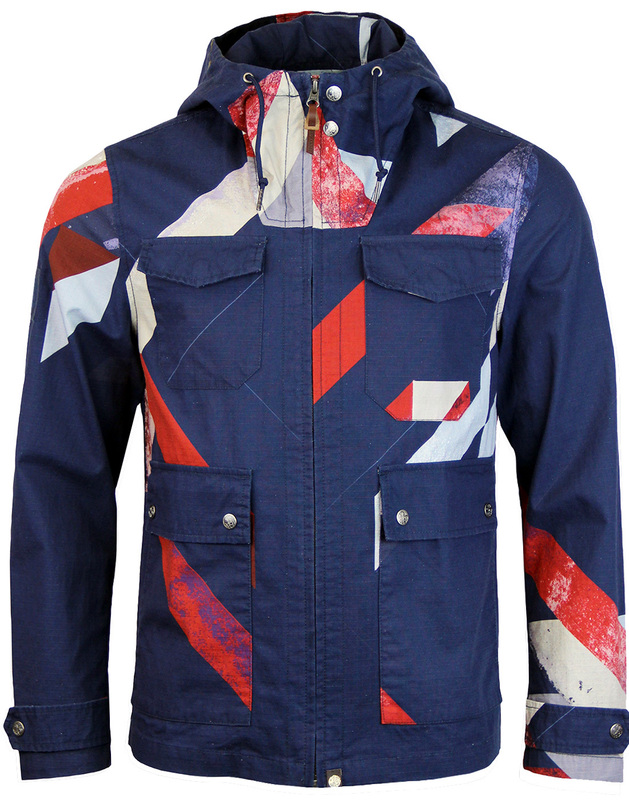 Fab Kirby design is a pretty green in house print, using a Vintage Sixties deconstructed union jack every jacket has its own print placement making it a unique piece. Two large frontal pouch pockets with side pocket entry to keep your hands warm and Two chest pockets with concealed snap button fastening. 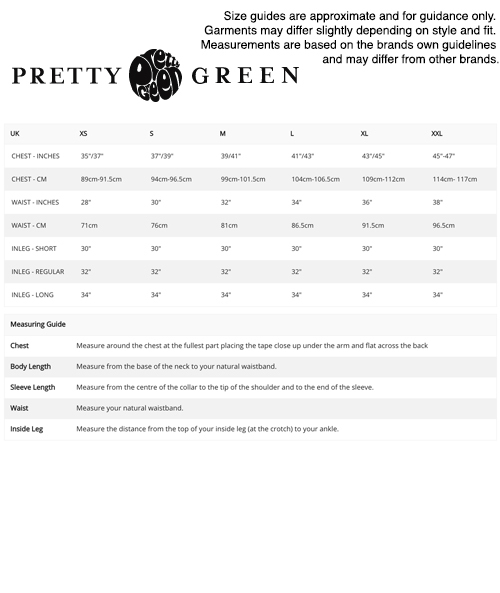 adjustable cuffs with snap fasten means you can keep the jackets slim silhouette and keep cold weather at bay. 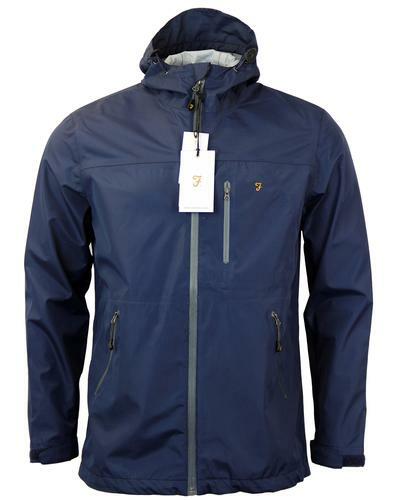 Built to the specifications of Liam Gallagher with bags of Mod style! - Concealed snap button closure to collar. - Metallic branded snap fasten buttons throughout.